Losing a pet is hard. Here are some great ways to commemorate and remember your lost pet, so they are always close to your heart. We lost our dog Gator a year ago, and it was the first time we have had to deal with losing a pet together as a family. Before Gator passed, I knew it was getting to be time to say goodbye to him, so I purchased a few things to make sure I did with him before he passed. A friend of mine shared with me this idea to make a memory box for his paw print, tag, and photo. The paw print kit was really simple to use, and I was able to get his paw print made many months before he passed. It would have been ten times harder for me if I had to do this after he passed away. So I suggest everyone has a paw print of their pet. Even if you use it as a Christmas ornament, it really is nice to have. 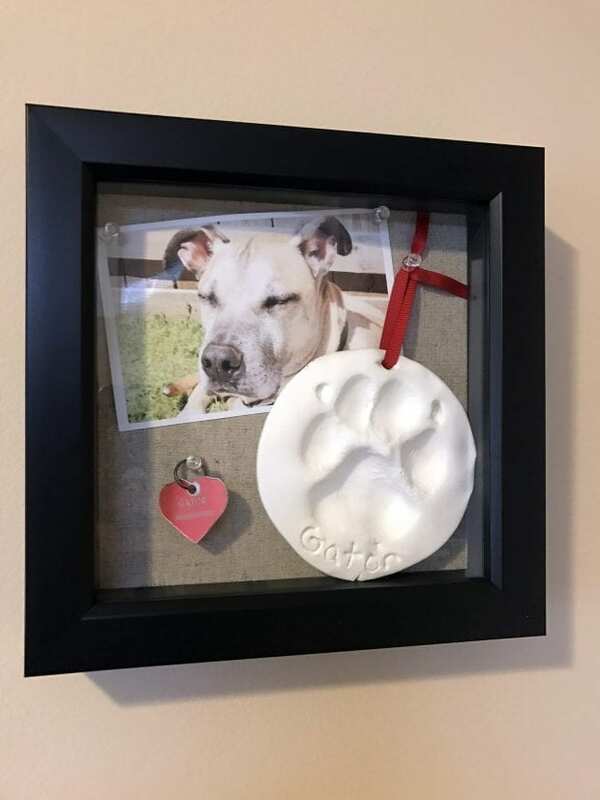 We placed a picture, his paw print, and his dog tag into the shadow box and hung it on the wall with the rest of our photos. A beautiful way to keep your pet close to you is with a beautiful piece of jewelry. 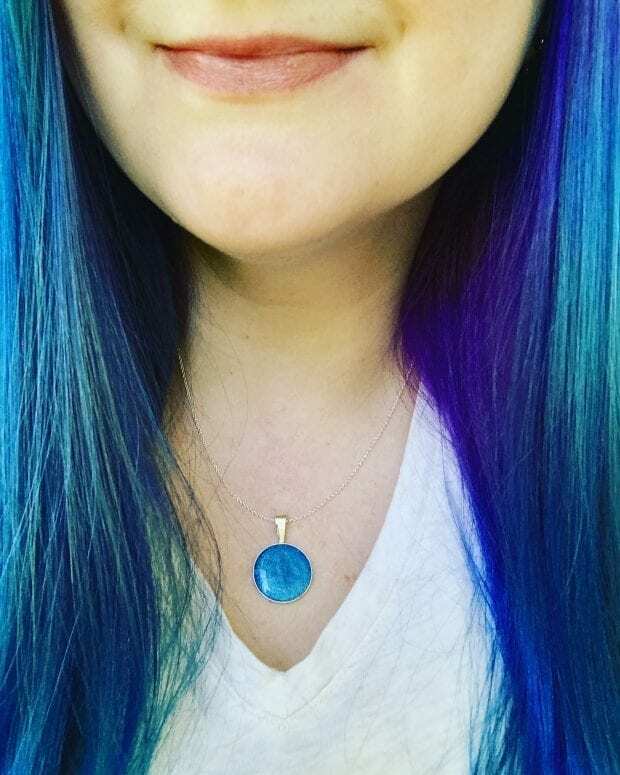 My best friends surprised me with a necklace from Milk Memories that was made with some of Gator's ashes inside. It's my favorite color, and I love it dearly. There are different ways to preserve ashes in a way to keep them close. There are cufflinks for men, paperweights for your desk, and hair clips for children. When we were ready to place his ashes I wanted to keep them close but I also have three other dogs and one of them likes to dig. So I wanted to place his ashes in something that would protect them and eco-friendly. PawPods are eco-friendly and are made of bamboo powder, rice husk, and cornstarch. Each Pod comes with a seeded sympathy card that can be planted to create a living memorial for the beloved pet. PawPods degrade in 3-5 years after being introduced to the environment. What I love most about the PawPod is that the kids were able to write a message to Gator to help them heal and say goodbye. There are many different sizes to choose from and even a fish pod. These are the ways that we commemorated our dog Gator, but you could do these with a cat as well. Here is how my friend Lindsey remembered her cat.